The Aging process for many people is just as anxiety inducing as anything else. For most, this is due to the fear of losing things they value dearly like their social life, mind and independence. One of the most common issues that face senior citizens is loneliness. A University of California, San Francisco (UCSF) study found that participants 60 years old and older who reported feeling lonely saw a 45 percent increase in their risk of death. Isolated survey respondents also had a 59 percent greater risk of mental and physical decline than their more social counterparts. This decline manifested specifically in participants’ abilities to perform tasks that are necessary for truly independent living. In other words, loneliness has the potential to accelerate a senior’s need for assistance from a family caregiver or another source of long-term care. So how do we combat this trend of loneliness in senior citizens? Some companies are already on the case with some truly amazing and innovative solutions. One of which is ElliQ, a device made by Intuition Robotics that looks like a desk lamp attached to a tablet, however it is so much more. The gadget interacts with the user, much like Amazon’s Alexa and Apple’s Siri. Only instead of waiting for the user to start the interaction, ElliQ will initiate interactions to stimulate social action. ElliQ also aims to simplify communication between the generations. An older person may not be comfortable texting, even though that’s the preferred medium for a teen. ElliQ will receive texts and read them out loud, letting the recipient dictate a response. All of this is done in a way even the most tech illiterate person could do. Another great example of a company that is working to end senior isolation is Belle Rings. Belle Rings has created an app that helps organize all caregivers of a person on one platform where they can chat and create a call schedule to make sure everyone is staying in touch with that person. The app also shows you when someone in the group talked to your loved one last so you can make sure they are in constant contact. 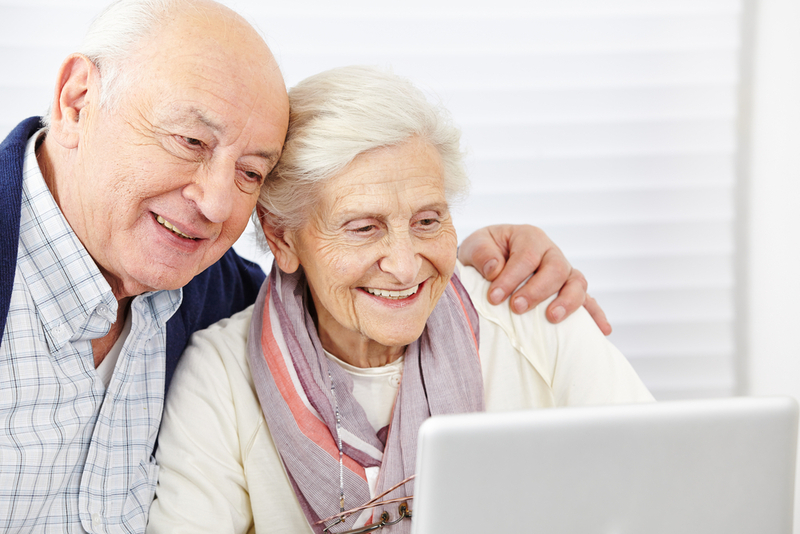 This allows the senior to feel connected to everyone, while offering insight, coordination and peace of mind to the caregivers. Companies like the ones above could be crucial for insurance companies as they could lead to better long term health outcomes for policy holders. Everything above is why Upward Labs has created an Aged Care specific incubation program. We want to help nurture the next wave of innovation in this industry by providing first-rate resources to startups that are working hard to make a difference for senior citizens. By offering knowledgeable mentors, pilot programs and so much more, we believe that the future of this industry will be happening right in our space in downtown Hartford, Connecticut.